3. Enjoy hiking and natural scenery with a guide! Seoraksan is the mountain where tourists who love mountains visit more than twice. Mountain shows beautiful scenery different in all 4 seasons, and many people come just to see its nature! 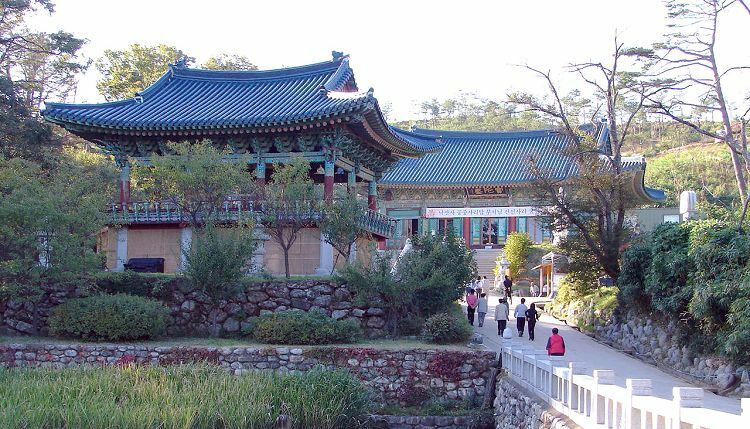 This is a 1 Day Tour where you can visit Seoraksan National Park and Naksansa Temple, one of the must-visit temples in Korea. If you are a temple and a nature lover, you will love this tour for sure. 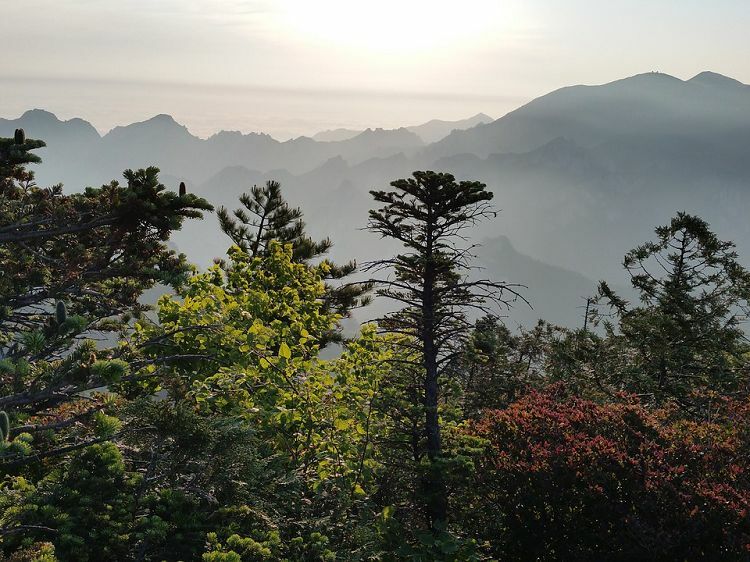 Seoraksan is the most beautiful mountain in South Korea where the visitors appreciate its outstanding scenery. Azaleas and other flowers touch and tickle the nose in Spring, clean and fresh streams in Summer, red-colored autumn foliage covers the mountain in Fall, and quiet and peaceful snow falls in Winter. The mountain changes its clothes every season. 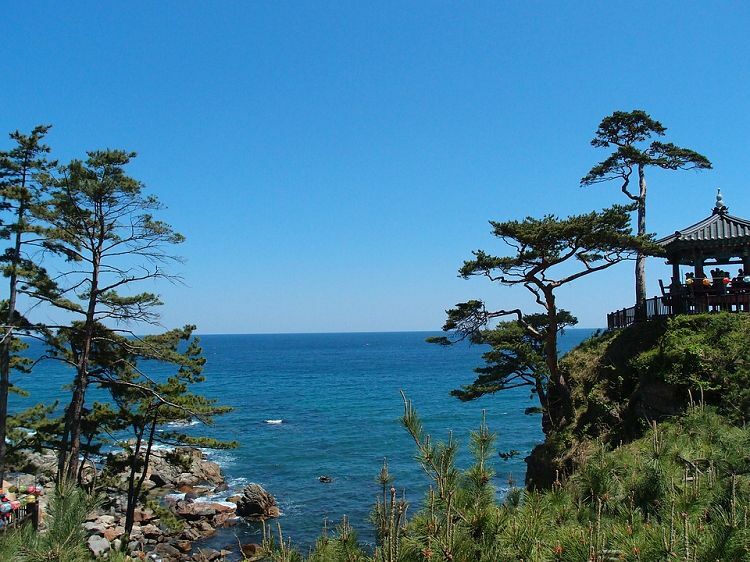 • Looking at the open sea from Seoraksan will help you relieve all the stresses. • This is the most loved mountain in Korea. 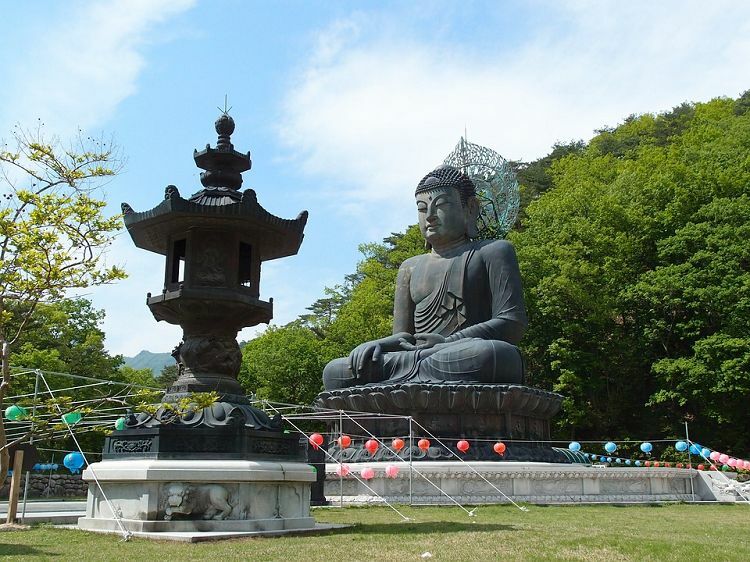 • Meet the huge Buddha statue in Seoraksan! Naksansa Temple is one of few temples in Korea to overlook the East Sea and is located 4km north of Naksan Beach, and boasts a 1,300-year history. 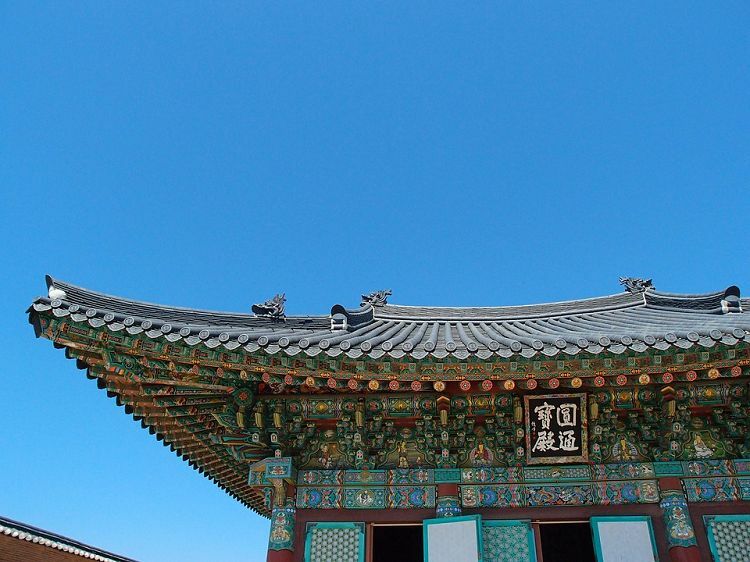 It is a temple built by Ui-Sang, the ambassador of the 30th King of Silla Period (57 BC-935 AD), and inside is the Seven Story Stone Tower, Dongjong, Hongyaemun, together with several other cultural assets. When you enter the temple from Hongyaemun Gate, you can see black bamboo trees and tiled earthen walls on either side of the sanctuary. • It is one of the temples visited by lots of Buddhists. • Even some parts were burned down, the remains still present its classic beauty. 2. If you want Seoraksan Cable Car, please purchase the ticket on-site (10,000 KRW). Please inquire the staff!